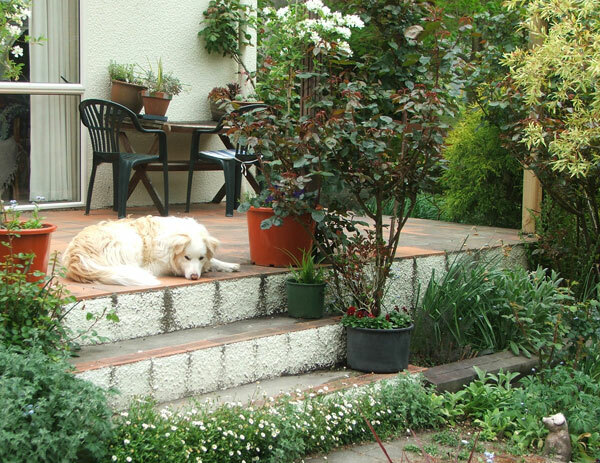 The patio steps are such a nice place to sit with a cup of coffee and some cats or a dog for company. Each year the pots here get filled with my latest favourites. The cats enjoy keeping the Head Gardener company if she sits here. And the patio steps are close enough to the fridge, just in case any there are any food noises from the house. 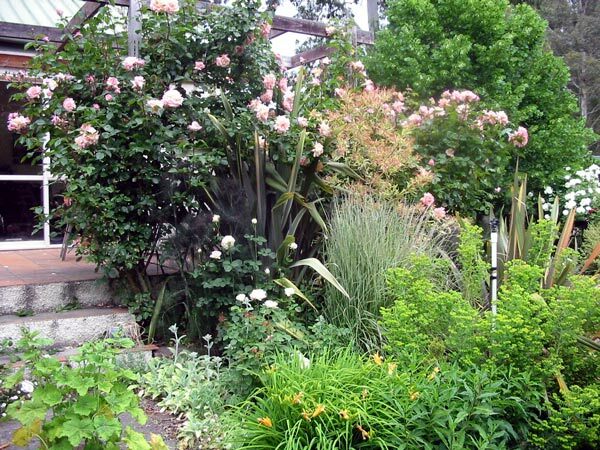 The climbing rose Compassion on the pergola at the side of the steps is very fragrant in summer. Of course the patio steps aren't always surrounded by rosy, flowering things, but they always have some pots in attendance. And dogs, too, can be found waiting patiently here for some Head Gardener action. 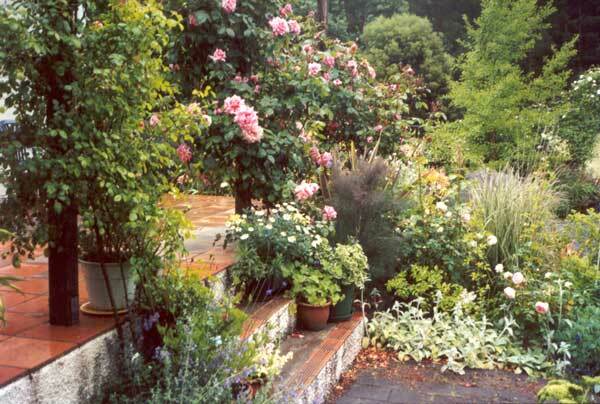 Below is an earlier picture of the patio steps, when the climbing rose Compassion was smaller.